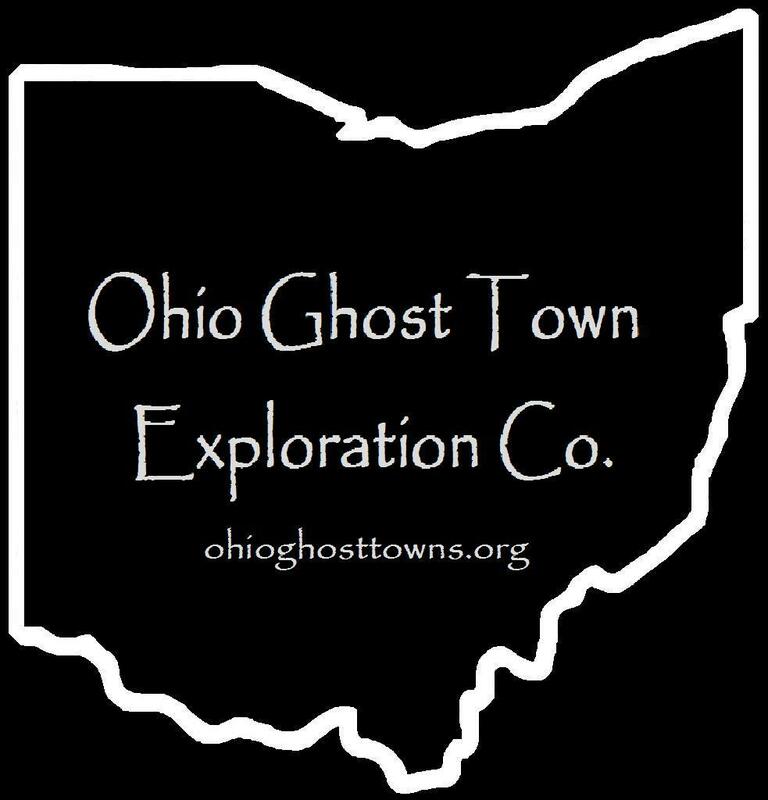 Top 10 Semighost Towns – Ohio Ghost Town Exploration Co. It was settled by Henry Broadwell (1809 – 1881) & Anne Eliza (Wainright) Broadwell (1813 – 1890) in the mid 1800s as a farming community. Their daughter Ann Eliza Broadwell (1846 – 1931) turned into a prominent business entrepreneur & donated land for a train station on the Federal Creek Railroad. Broadwell’s main source of income was from local coal mines operated by The Federal Coal Co.
Ann married Elijah Homer Bean (1843 – 1923) in 1866 & they later moved out west becoming one of the earliest known families to settle in South Dakota. Broadwell had a post office from 1893 – 1919. It lost a lot of residents after the coal mines shut down & has a neighborhood of abandoned buildings where the center of town was. Sewellsville sits on a stretch of road that’s mostly old abandoned buildings. It was once a relatively thriving town that started out as a farming village in the first decade of the 1800s. The town was originally called Union & was named after the first log cabin meeting hall. It was changed to Sewellsville in 1831, named after Peter Sewell. He was a carpenter, builder, & also became the first postmaster. Sewellsville had a post office from 1834 – 1907. The town also had a church, school, & several small businesses over the years. The population was around 125 in 1900. Later in the mid 1900s, the local surface coal mining industry may have led to Sewellsville’s demise. It gave people jobs at the time but bought up a lot of the town’s land. Most of the remaining residents had to leave & find work elsewhere when coal production ended. The last school is at the intersection of SR 800 & McCoy Rd. An impressive looking & old United Methodist Church is on SR 800 next to the town’s cemetery. There are also a lot of abandoned houses around the area. Hope Furnace was built by Colonel Douglas Putnam (1806 – 1894), who was a wealthy businessman from Marietta & also managed a furnace in Ashland County. It started operating in 1854 & had a train station on the Big Sand Railroad. Hope also had a general store, a school & dozens of homes. The town hit its peak population at around 300 citizens in 1870. Many residents left when the furnace stopped production in 1875. Hope’s post ran from 1865 – 1890. More residents moved away before the late 1930s when construction of Lake Hope began. It eventually submerged a large percentage of the town’s land. The furnace is near the northeast corner of the lake off of SR 278. It was listed on the National Register Of Historic Places in 1973 & is highlighted by Ohio Historical Marker #1 – 82. It’s also reportedly haunted by the ghost of a night watchman who died on the premises & can supposedly be seen making his rounds with a lantern on stormy nights. The former one room schoolhouse has been restored & is used as a meeting hall. It sits in the forest off of one of the hiking trails. Hope’s last church is abandoned on Wheelabout Rd south of town off of SR 278. Lake Hope has lots of recreational activities to do. Lake Hope State Park Info – parks.ohiodnr.gov/lakehope. The Sunday Creek Coal Company built San Toy in 1900 to house & accommodate its workers. This rough and rowdy mining town at the northern edge of Ohio’s Hanging Rock Region had a roller coaster worth of ups and downs. San Toy boomed from the very beginning & made its best attempt to maintain law and order in a densely populated community. The town’s former jail, at the southwest corner of the intersection of Santoy Road and Township Highway 452, hides out in a wooded lot these days and appears to enjoy the peace and quiet. Across Santoy Road from the jail, a water well pump house has lost its roof but the walls are still intact. The town’s tough reputation was partly due to its large number of saloons & drinking being the biggest after work hobby. San Toy had the only hospital in the county at the time and needed it for both for the mine workers and those injured in bar brawls & street fights. It also had a theater & a baseball team for entertainment. The baseball team competed against other mining company & small town teams in the area. In 1924 a group of disgruntled workers pushed a cart full of flaming logs down into a mine shaft during a labor dispute. The fire destroyed the mine, hospital, & theater. After the dispute was settled, mining continued until 1927 when the coal company decided it didn’t want to invest in the location anymore. Instantly losing their main industry, San Toy’s citizens didn’t have many other options & most moved away as soon as possible. A set of steps that don’t go anywhere anymore climbs into oblivion where a house used to be near the jail. The few residents that stayed behind kept the town going with revenue from making moonshine. Between 1927 and 1930 San Toy lost more residents than any other town in the United States. Seventeen of its nineteen remaining citizens voted to abandon the town in 1931. There are now newer residences in the area among the remnants of the ghost town & it still goes by the name San Toy. Lock was settled by Isham Abbott (1799 – 1859) & his wife Lois (Everett) Abbott (1807 – ?) in 1836. Isham had a potash business & laid out lots for the town in 1837, naming it Lock for unknown reasons. A post office was established in 1838 at his store & Lock got its first church in 1845. The Abbotts later moved out of town & Lock didn’t grow much over the next few decades without a canal or railroad, although it was still the biggest town in the area. Washington Hildreth (1829 – 1903) was the most prominent business man in Lock during the late 1800s. He was the last postmaster in town & a member of the Ohio National Guard. An atlas from 1871 shows that Hildreth owned 2 stores, a warehouse, & several lots in town, including Hildreth’s Hall, where members of the Order of Good Templars met. Around that time, Lock also had another store, a cooper shop, 3 churches, a school, wagon shop, blacksmith, harness shop, & a shoe shop. The 1870s appear to be the peak of Lock’s heyday & the community has been dwindling since then. The last general store in town, which was built on one of Washington Hildreth’s lots, still stands at the intersection of Lock Rd & SR 657. A Congregational Church constructed in 1844 is across the street. There’s also an old Methodist Church on Lock Rd east of the center of town. Washington Hildreth & many other early residents were buried in Lock Cemetery south of town on SR 657. Olive Furnace was built next to Olive Creek in 1846 & financed by John Peters, John Campbell (the founder of Ironton, OH), Madison Cole, William Clements, & J.L. Thompson. The furnace provided iron for steel manufacturing during the Civil War & for steel manufacturers in Northern Ohio & other places around the country. The furnace, coal mines, & the surrounding town (sometimes called Mount Olive) were on 3,600 acres of land that was purchased by the furnace owners. Most of the early roads in the township were built & maintained by the furnace company. Beside the buildings at the furnace, the town also had a blacksmith shop, carpenter shop, company store, church, & a school, as well as a few dozen houses for the workers. The closest railroad station was about 1/2 mile southwest of town on the Cincinnati, Hamilton, & Dayton Railway. The furnace began operation in 1847 & produced an average of nearly 4,000 tons of iron every year until production stopped in 1910. Farming was also a local source of income. In 1915 the furnace was sold for scrap iron & a lot of it was destroyed. The Olive Furnace post office ran from 1857 – 1915. Now the land is owned by the Mt. Olive Furnace Park Corporation which is accepting donations with plans to reconstruct the furnace. The Mount Olive Community Baptist Church still stands across the road from the remains of the furnace & the Olive Furnace Cemetery is up a hill behind the furnace. An iron forge was built in 1815 & the furnace was built in 1816 by James Rodgers (1787 – 1860), Andrew Ellison (1755 – 1830), & his son Andrew Ellison Jr. The exact location of the furnace & original town is unknown but there are a couple of cemeteries & a few abandoned houses on Steam Furnace Rd. The ghost town is sometimes referred to as “Old” Steam Furnace, as there is a newer community in the area, but all the old town really had was the furnace, forge, & a general store. James Rodgers & Andrew Ellison Jr. went on to build many other iron furnaces in Ohio. Rodgers also managed the Brush Creek Furnace for a few years. Some of the Ellison’s relatives are buried in Brush Creek Cemetery. The google map below is centered on Steam Furnace Cemetery. There are also several other abandoned buildings & old store fronts in the area, including Turkey Creek Church at the intersection of SR 781 & Lucas Rd. Belmore was platted in 1862 by Wesley G. Montgomery (1813 – 1892) Julia (Plummer) Montgomery (1825 – 1859) with a power of attorney from Julia’s parents Benjamin & Mary Ann Plummer, who owned the land at the time. It was initially called Montgomeryville but the name changed in 1868 to coincide with the post office that was named Belmore. The town had 17 plots to start out with, & began to expand with a station on the Cincinnati, Hamilton, & Dayton Railroad in 1869. In the 1870s, Belmore had a mill, hotel, a couple of grocery stores, & several other small stores & businesses. The population peaked in the 1880s with around 450 residents. Although Belmore was a railroad town, it didn’t get any big businesses in the 1900s to make the population boom. A school was built in 1904 & unfortunately was destroyed in a fire in 1958. The railroad station eventually closed, as did the post office in 1964. These days, Belmore has a newer railroad line running through its center but no train station. A CSX train passed by when we were there in July 2014. The old town hall built in 1908 sits abandoned on Main St near an empty church. There are also several other old abandoned businesses on Main St & the town’s cemeteries, East & West Belmore, are on Road Y. It’s a cool place to swing by right off of SR 65 with a close-knit community of about 120 residents.